About my Volvo. I only owned it for a short while, but it left quite an impression on me. My wife and I are about to add another kiddo and subtract one income, so the Suburban might need to be re evaluated. We sold our travel trailer months ago so I don’t really need a tow pig as much any more, the biggest remodel projects on our house are some, and I’ve been getting away with a higher gas budget because the Mrs has had a company car with deeply discounted gas. That’s about to come to an end, and I’m considering selling the big beast. 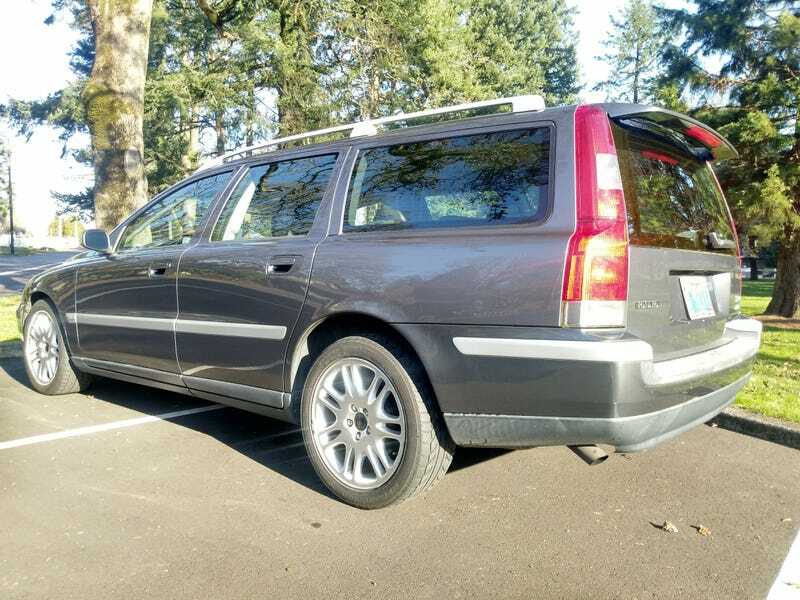 To replace it, I'm really thinking of a P1 or P2 V70. Preferably a T5 manual, but I'd accept another 2.5 T. Were these available with a T5, manual and AWD besides the R?